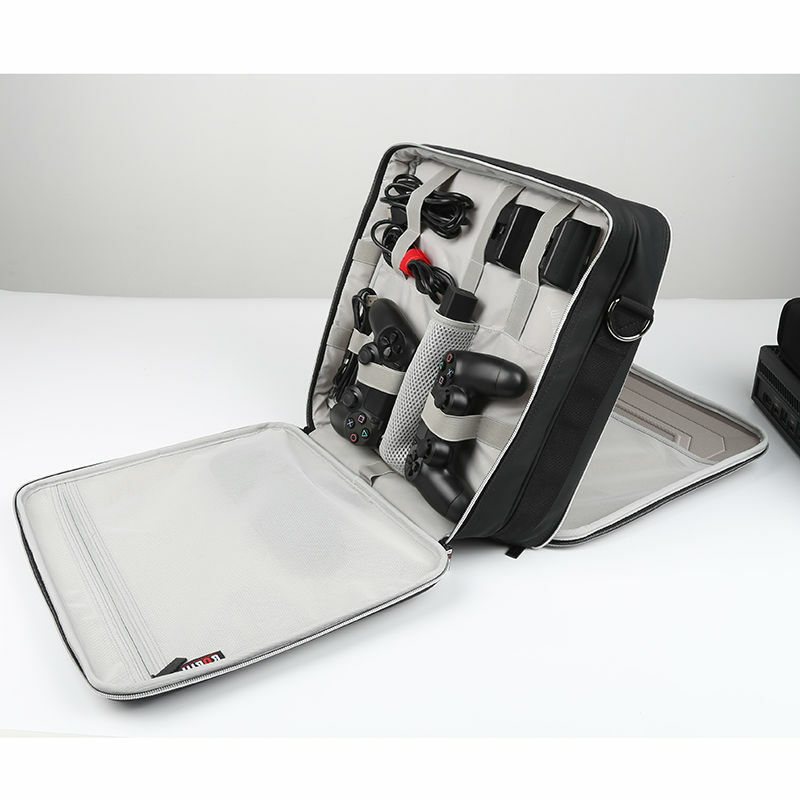 Large capacity hard-wearing EVA materials offering excellent protection for your NEW PS4 PRO. 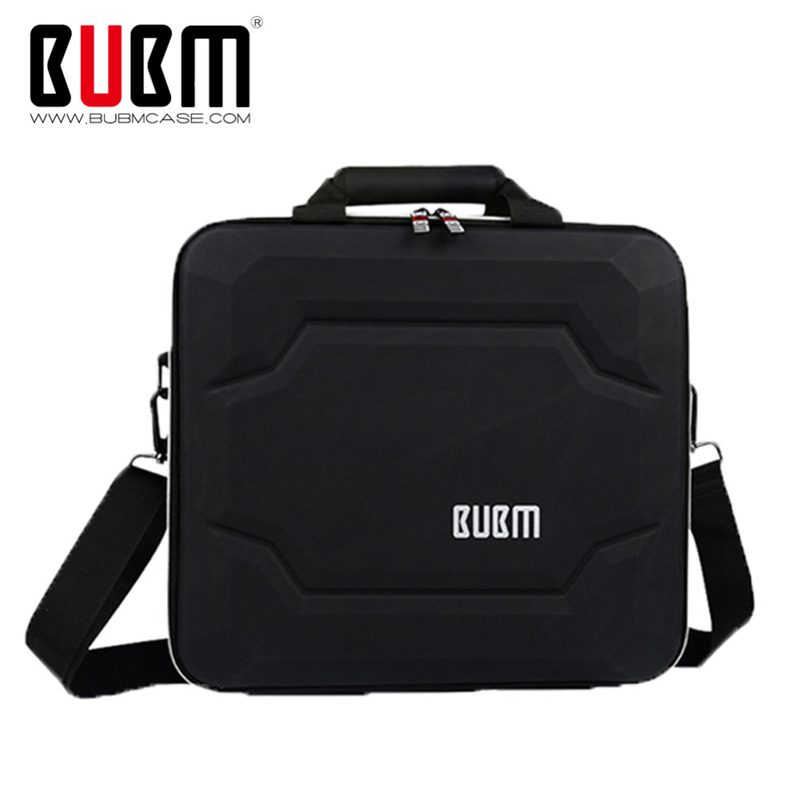 Durable ,shockproof, waterproof. 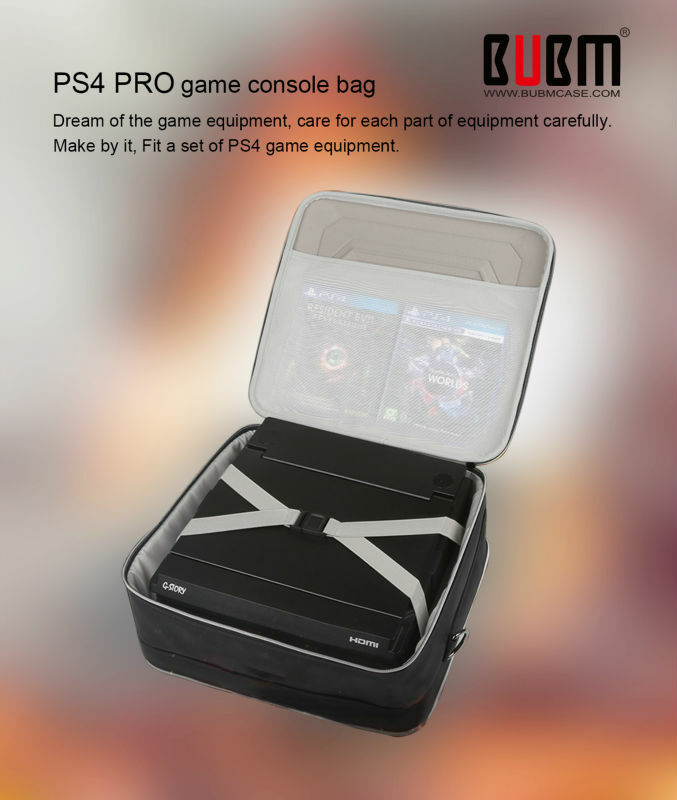 The better protection for PS4 PRO games. 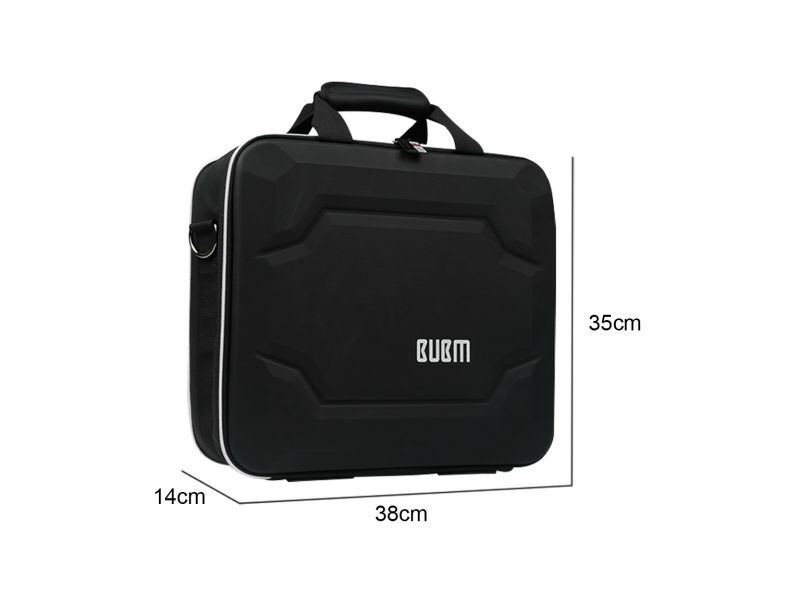 Internal resistance to damaged of outside world. 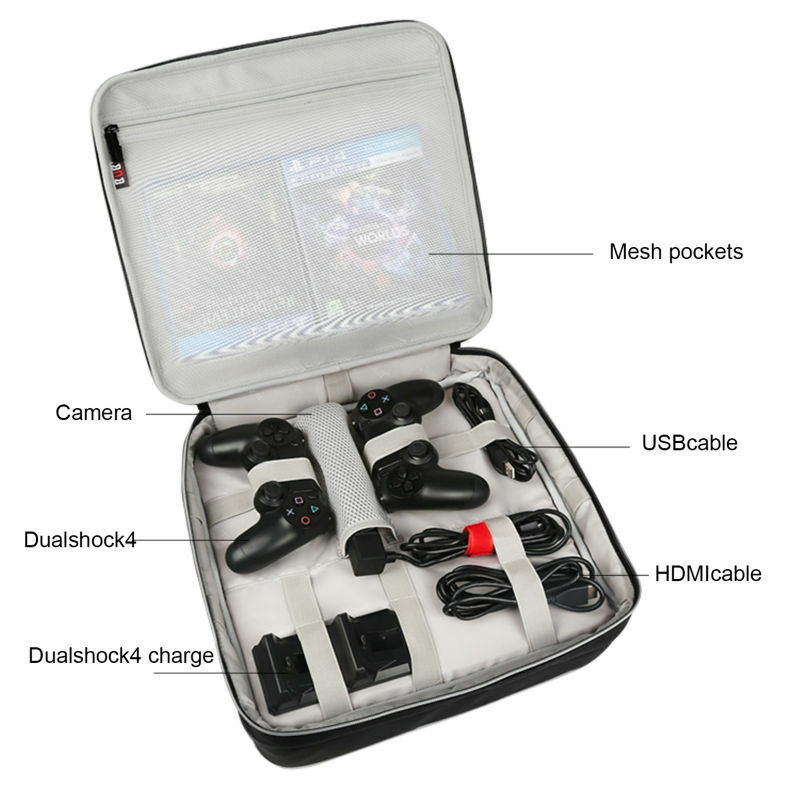 Double-layer design, the first layer can perfectly store game controller, dualshock4 charger, Camera, HDMI and USB cable, etc.. 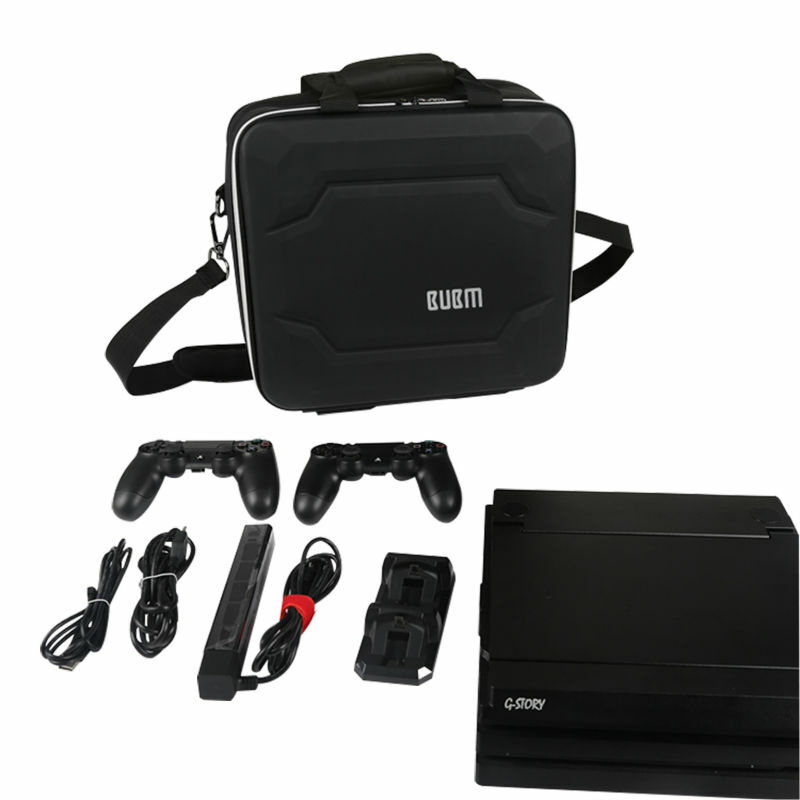 The second layer specially for PS4 pro console and screen. 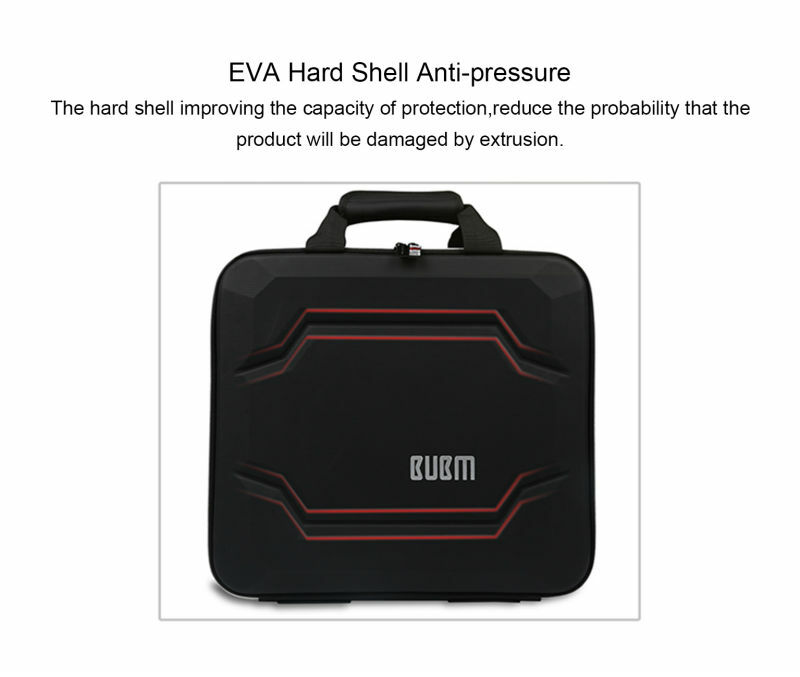 The hard shell improving the capacity of protection, reduce the probability that the product will be damaged by extrusion. 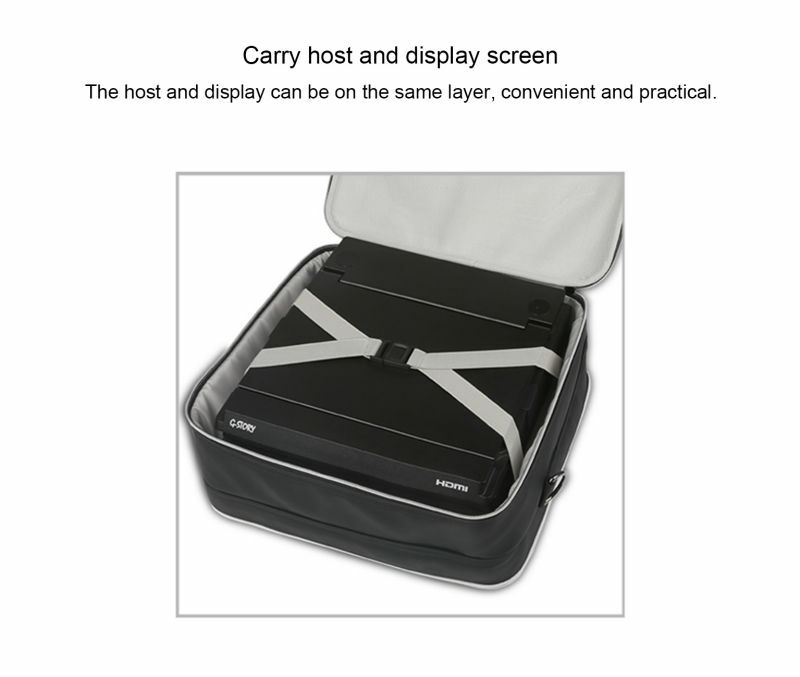 2.Carry host and display screen. 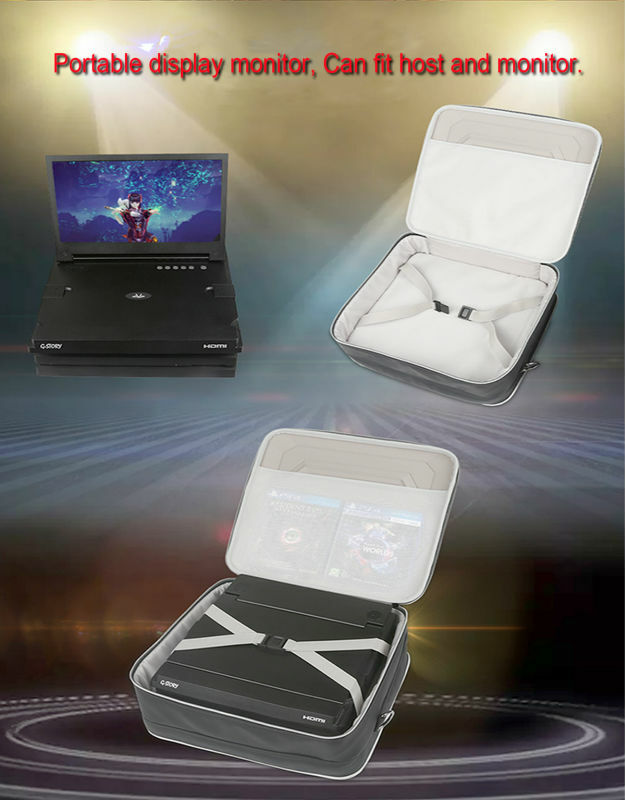 The host and display can be on the same layer, convenient and practical. 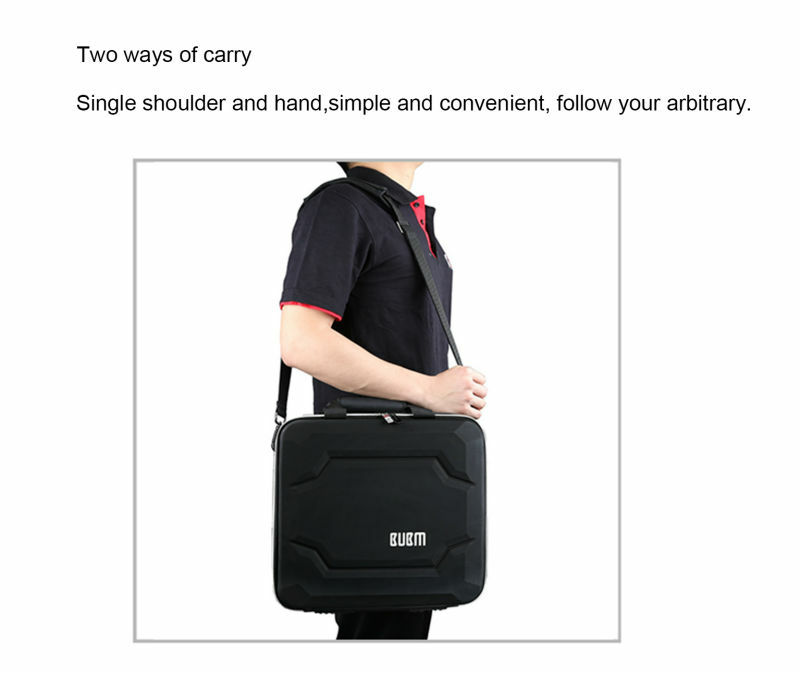 Single shoulder and hand, simple and convenient, follow your arbitrary. 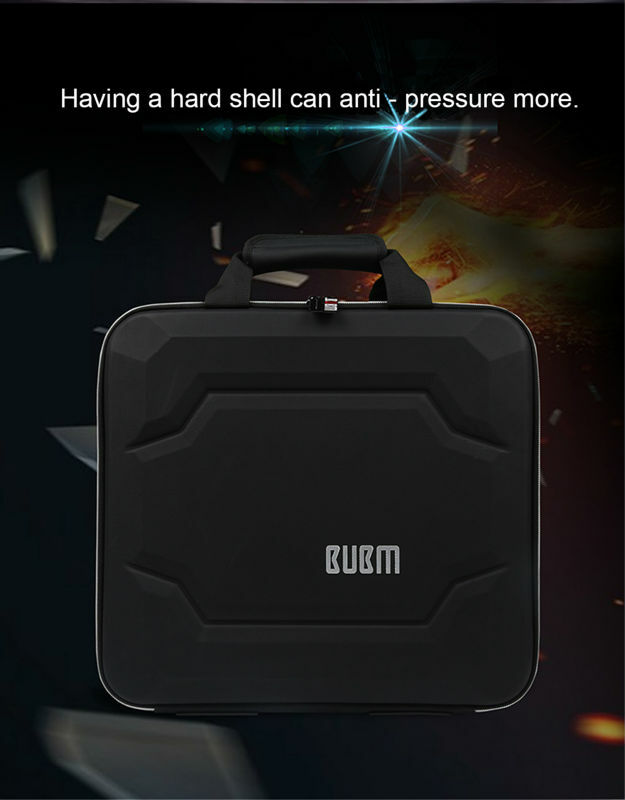 4.Non-slip feet-The bottom pad is thick. Non-lip. 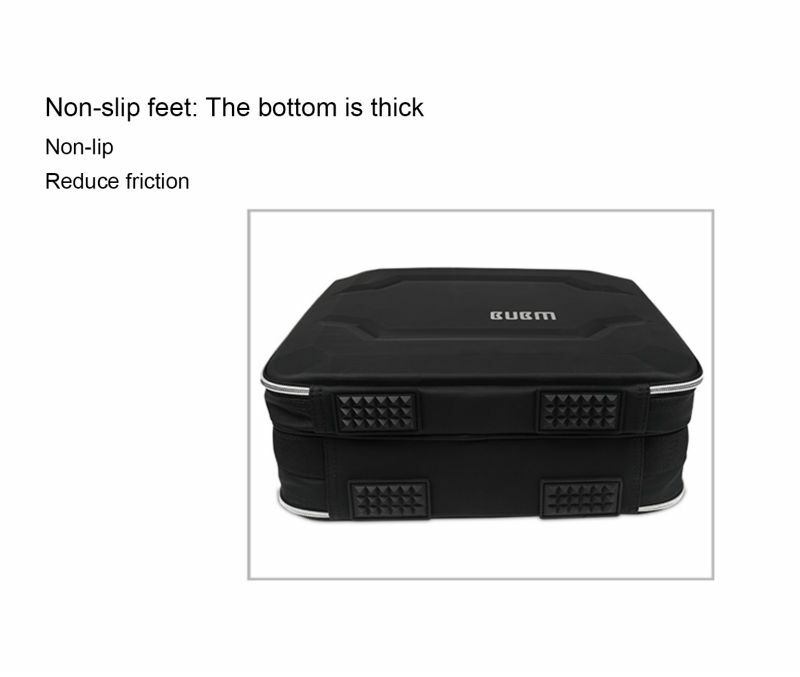 Reduce friction. 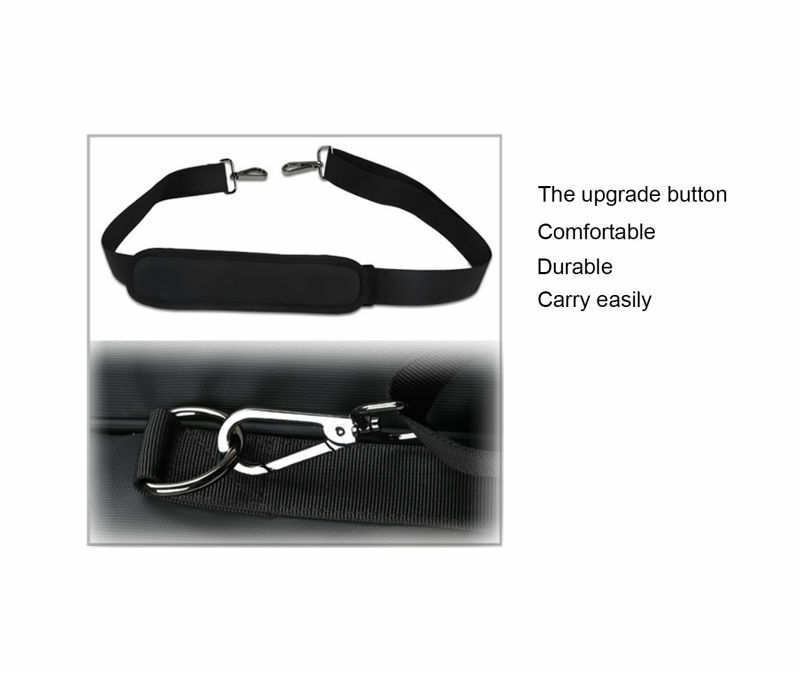 5.The upgrade button : comfortable, durable, carry easily.